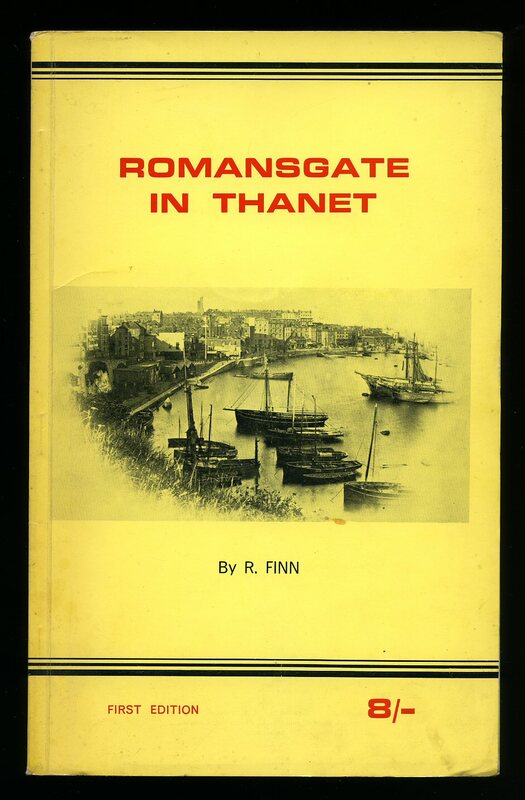 Published by John Hallewell Publications Ltd., 38 High Street, Chatham, Kent First Edition 1980. Chatham 1980. Publisher's original stapled card wrap covers. Landscape 8vo. 6'' x 8½'' ISBN 0905540603. 64 printed pages of text. Archive monochrome illustrations throughout. Without any ownership markings and in near Fine condition, no dust wrapper as published. Member of the P.B.F.A. Published by European Library Zaltbommel The Netherlands First Edition 1995. 1995. First edition hard back binding in publisher's original archive illustrated glazed boards. Oblong 8vo 6'' x 8¼'' 76 pp. ISBN 9028860932. Monochrome illustrations throughout. In Fine condition, no dust wrapper as published, unopened new book. Member of the P.B.F.A. 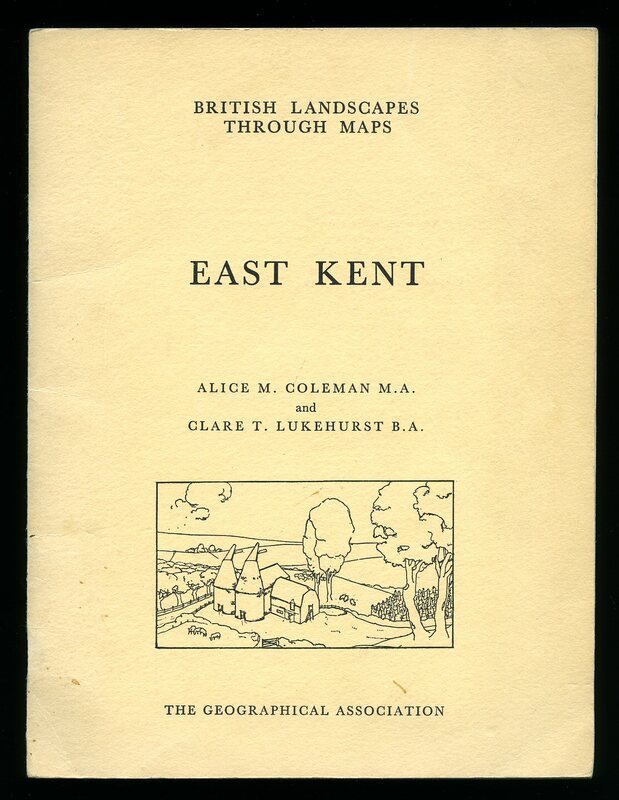 Published by Geographers' Map Company Ltd., Vestry Road, Sevenoaks circa 1965. 1965. Publisher's original card covers. Fold-out map. In Very Good clean condition with light rubbing to the edges of the card covers and a couple of small red pen circle marks to the map, priced 2/6. Member of the P.B.F.A. 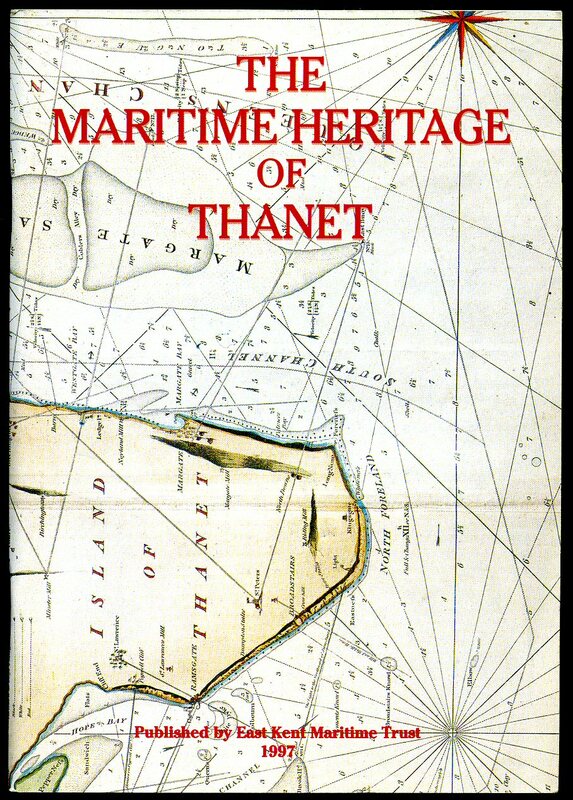 Published by East Kent Maritime Trust, Kent First Edition 1997. 1997. 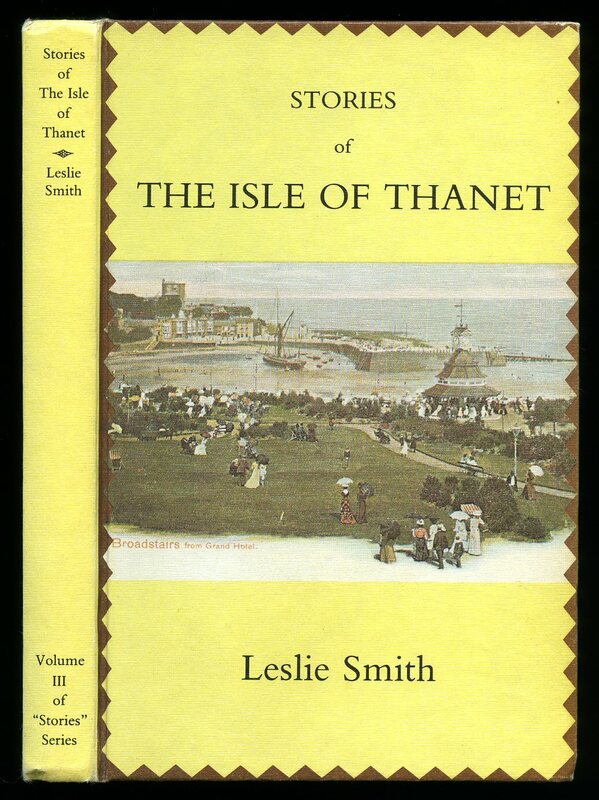 W. E. White, Thanet First edition 1969. 1969. 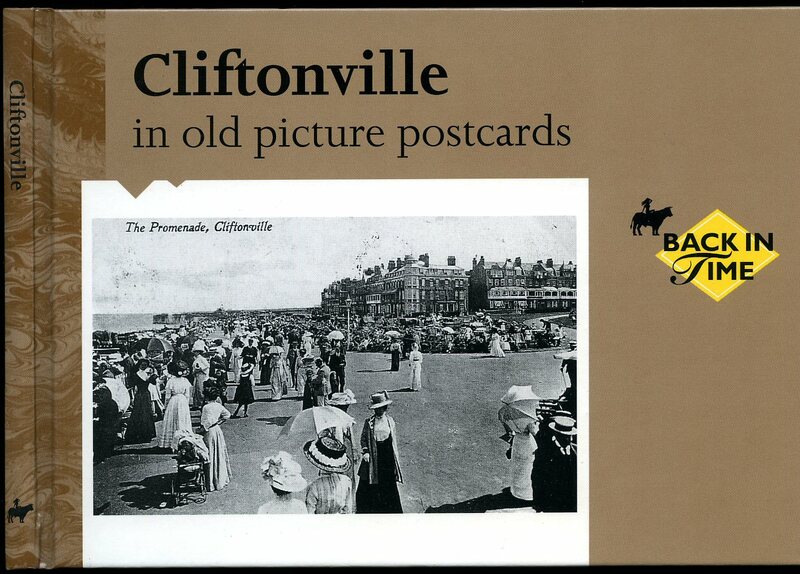 First edition publisher's original stapled yellow laminated card covers, monochrome print to upper panel. 8vo 9¾" x 6¼" 50 pp. 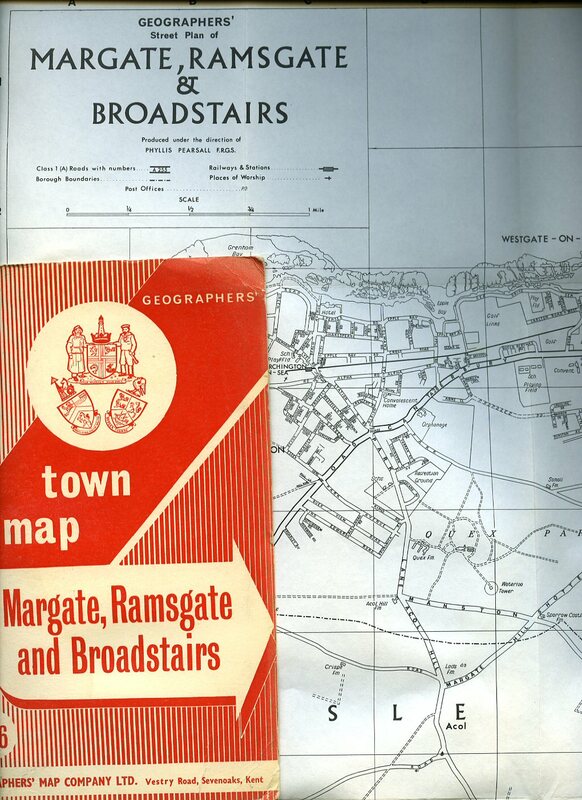 Monochrome photographic illustration and two maps. Small nicks to fore edge, light soiling to covers and in Very Good condition, no dust wrapper as issued. Member of the P.B.F.A. Published by The Geographical Association 1967. 1967. First edition in publisher's original stapled ivory card covers, black lettering to upper panel. 4to 10'' x 7½'' 30 printed pages of text. Monochrome photographic illustrations on glossy silk art paper. In near Fine condition. Member of the P.B.F.A. Published Privately by the Author Preston Court, 67 Preston Street, Faversham, Kent 2nd Edition 1981. 1981. 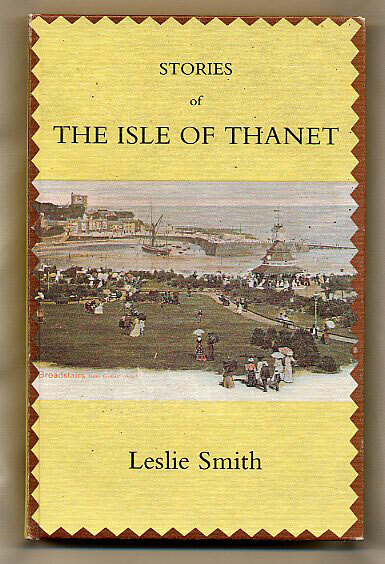 Hard back binding in publisher's original lemon paper covers, black lettering to the spine, Broadstairs from The Grand Hotel to the upper panel. 8vo 9'' x 6'' 257 printed pages of text. Archive colour and monochrome illustrations throughout. In very near Fine condition, spine not sun faded, no dust wrapper as issued. SIGNED by the author to the copyright page 'With best wishes, Leslie Smith.' Member of the P.B.F.A. 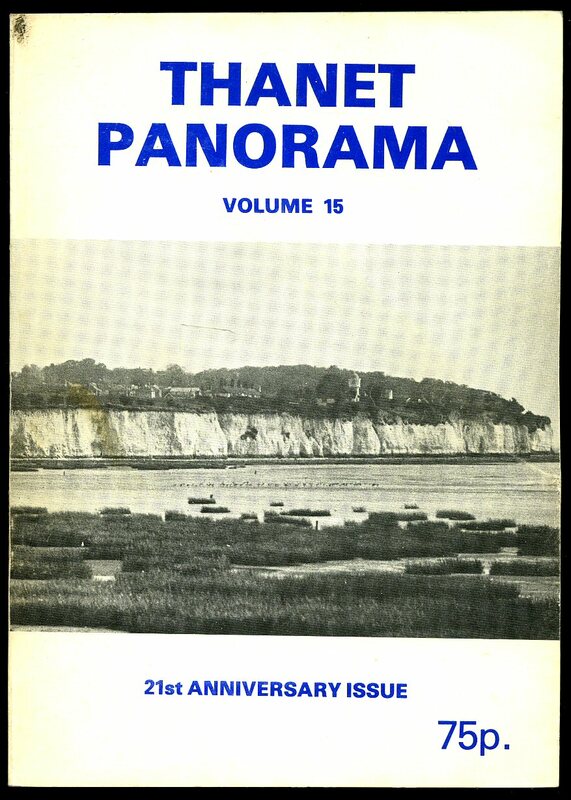 Published by The Isle of Thanet Geographical Association 1977. 1977. Publisher's original photographic card wrap covers. 8vo. 8½'' x 6''. Contains 78 printed pages of text with monochrome photographs. Without any ownership markings and in Very Good condition, no dust wrapper as published. Member of the P.B.F.A. 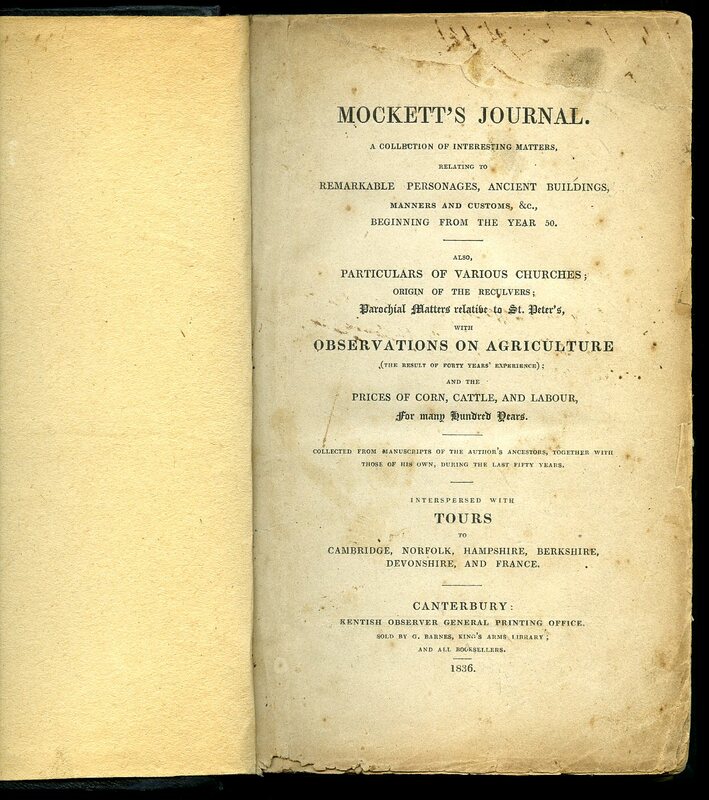 Mockett, John [1775-1848] Was a farmer in the Isle of Thanet at the beginning of the 1800s. He was a churchwarden to St. Peters, Broadstairs in the Isle of Thanet. Published by Kentish Observer, Canterbury First Edition 1836. Canterbury 1836. First edition hard back binding in black cloth covers, cream paper title label to the spine. 8vo. 9½'' x 6''. Contains [xvi] 328 printed pages of text. The spine has been re-cased preserving the original cloth, the top of the title page has been cropped across the angle, not affecting any of the text, a little foxing to the pages throughout, sound, complete and extremely scarce. Member of the P.B.F.A. 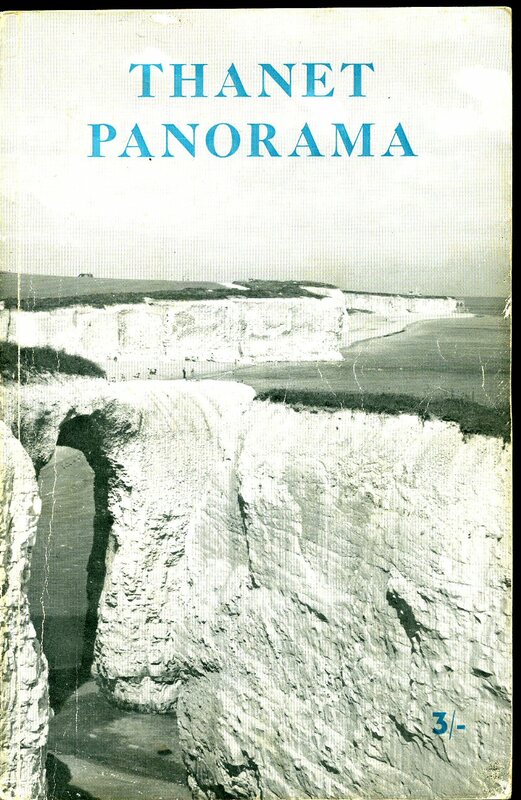 Published by The Isle of Thanet Geographical Association 1967. 1967. 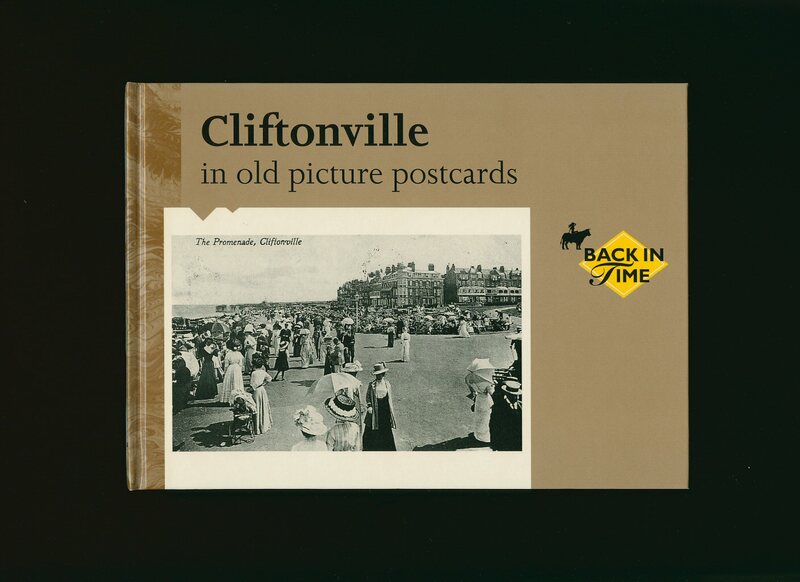 Publisher's original photographic card wrap covers. 8vo. 9'' x 6''. Contains 70 printed pages of text with monochrome photographs throughout. Without any ownership markings and in Very Good condition, no dust wrapper as published. Member of the P.B.F.A. Printed Week Commencing 7th August, 1966. 1966. 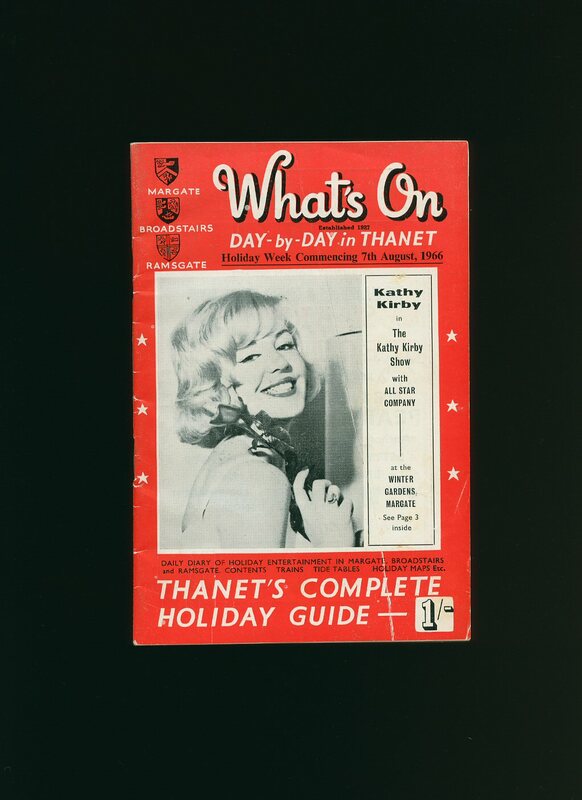 Original stapled paper back covers with Kathy Kirby to the front cover performing at the Winter Gardens, Margate. 8vo. 7½'' x 5''. Contains 38 pages. In Fine condition. Member of the P.B.F.A. 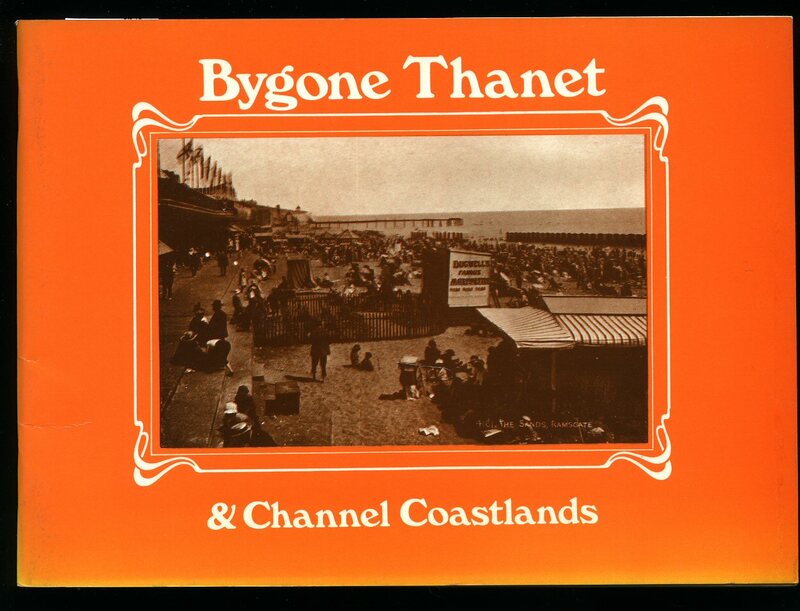 Hard back binding in publisher's original lemon paper covers, black lettering to the spine, Broadstairs from The Grand Hotel to the upper panel. 8vo 9'' x 6'' 257 printed pages of text. Archive colour and monochrome illustrations throughout. In Very near Fine condition with almost imperceptible sun fading to the spine, no dust wrapper as issued. Member of the P.B.F.A. 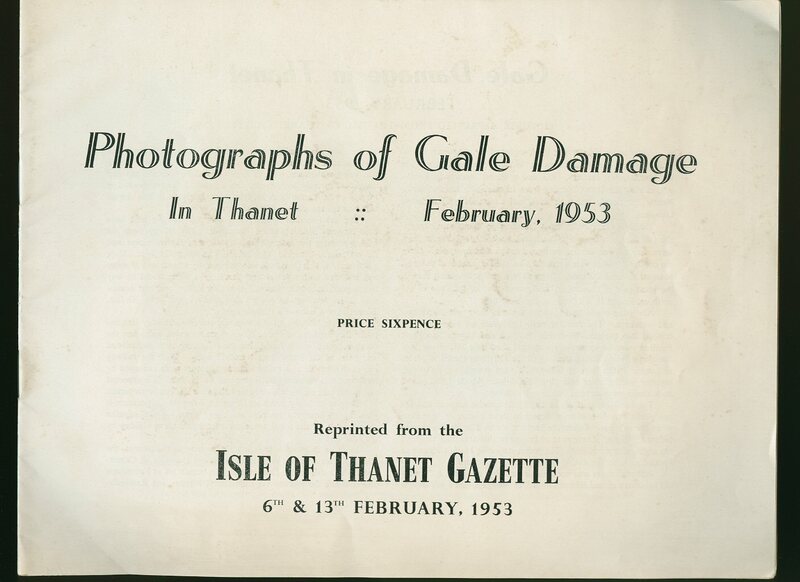 Photographs of Gale Damage in Thanet February 1953. Published and Reprinted From the Isle of Thanet Gazette 6th and 13th February 1953. 1953. Publisher's original stapled white paper covers. Oblong 4to 8½'' x 11¼'' 20 pages with monochrome illustrations throughout with text around. Foxing to the front cover, two 50 mm repaired tears to the front cover, tear to the outer cover down to the first staple. Member of the P.B.F.A. 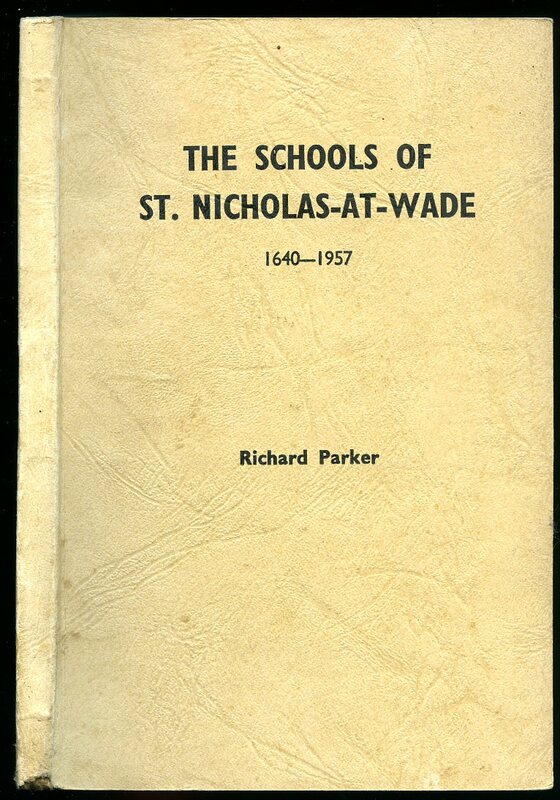 Published by Millbank 1957. 1957. Publisher's original light fawn card covers, black lettering to the upper panel. 8vo 7'' x 5'' 63 pp. Light damp stain to the lower card cover, contents not affected and in Good condition, no dust wrapper as published. Member of the P.B.F.A.